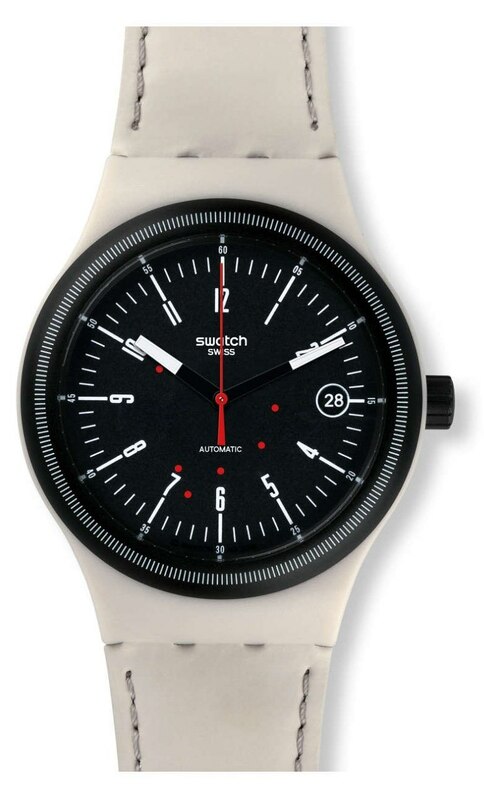 When Swatch debuted the Sistem51 automatic, I was excited about the prospect of a very affordable Swiss made automatic, but I was not all that excited by the design choices. 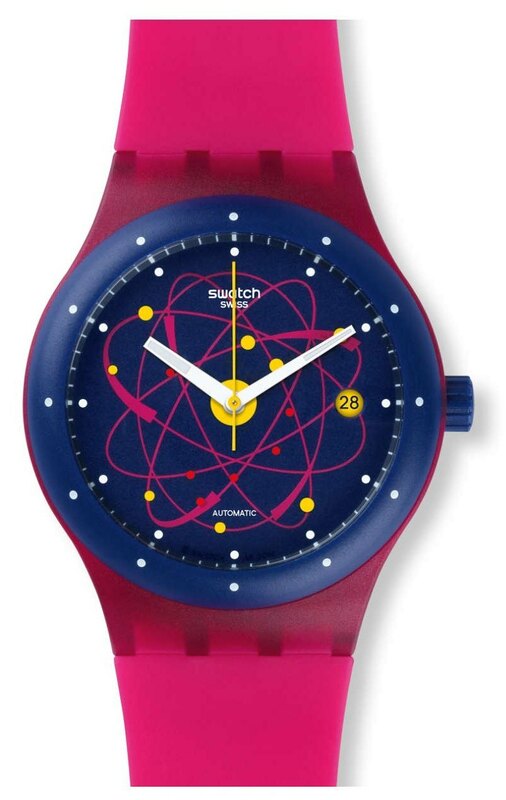 The original four designs definitely showed the Swatch DNA, but they were not designs I would wear, other than as a novelty. With the Swatch Sistem51 update released earlier this year, there are 5 new watches in the family, really expanding the appeal. The new models are all still definitely Swatch products, with the translucent (for the most part) plastic cases and plastic crystals, but the line has grown up a bit, incorporating options that go from business friendly to crazy, all at a price tag of $150. The Sistem Class (above), walks the middle ground, with the translucent blue case and black bezel and dial with stark white markings. The Sistem Pink, on the other hand, is loud and fun, and definitely youth (or young at heart) oriented. Just like all the other watches in the line, the movement is a new design by the Swatch group, utilizing fewer parts but still running a self winding mechanical movement with a claimed 90 hour reserve. All of the watches include an exhibition caseback, so you can show off the movement if you are so inclined. Joining the pink on the louder end of the scale is the Sistem Green (photos in gallery at the bottom). Though the color is still out there, the dial design is a little more sedate. Moving to the opposite end of the scale, you have the Sistem Cream (above) and the Sistem Chic (banner image and below). The cream is the lone design to come on a leather strap, while all the others have silicon straps. 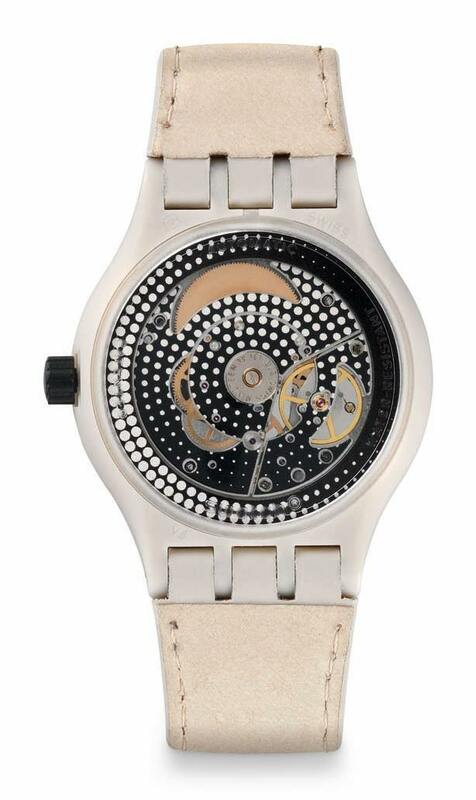 The Chic is not too far away from the Swatch I bought myself decades back when I was in school and Swatch had recently hit the US shores, and I think the Cream is something that would work with a suit. All the watches are listed as large, which means the case is between 39 and 45mm, but I think it is in the low 40mm range. 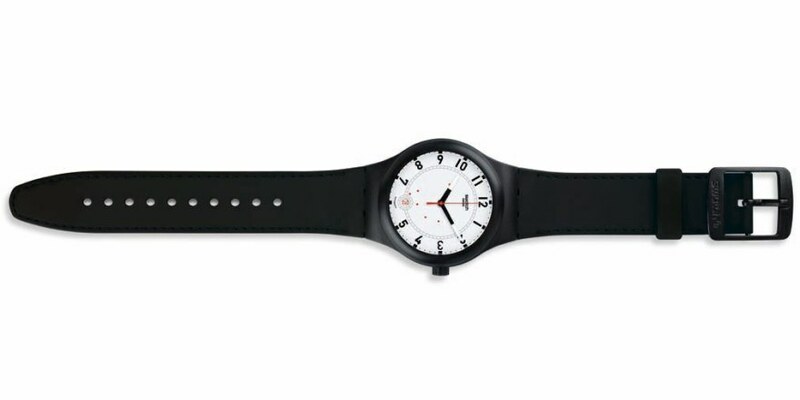 It is a good unisex size for a modern watch. Who we think it might be for: Anyone who wants a Swiss made automatic but does not have a lot of money, or someone who wants a Swatch, but is not a fan of quartz movements. Would I buy one for myself based on what I’ve seen? : Yes, I like both the Cream and the Chic.. If I could make one design suggestion, it would be: More options for a leather strap. What spoke to me the most about this watch: $150 for a Swiss Automatic, I don’t care if it can’t be serviced.